John Lithgow. 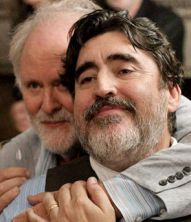 Alfred Molina. Marisa Tomei. Charlie Tahan. Cheyenne Jackson. Manny Perez. Darren Burrows. Hearing Impaired (DVD). Art House. Romance. Comedy. Gay Interest. Drama. Recommended. Art House. Recommended.